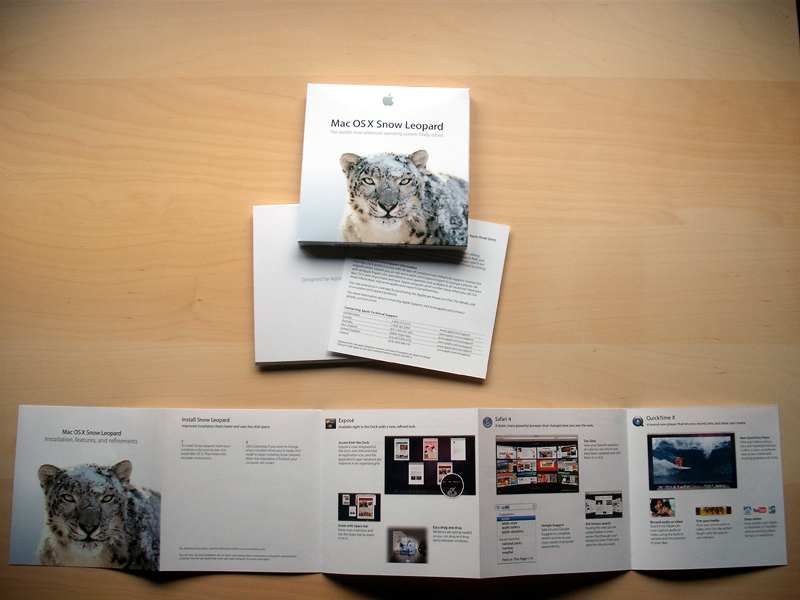 Whilst the packaging for Apple’s latest major OS release, Snow Leopard, is certainly (without taking words from Steve’s mouth) “gorgeous”, their software distribution model is somewhat unique, since they only sell boxed copies of their software, and do not distribute digitally, like so many other software companies do. In addition to this, Amazon lists almost 65,000 products in their Software department, most (if not all) of which come as boxed copies. It is essentially free, since there are no physical costs of production involved. 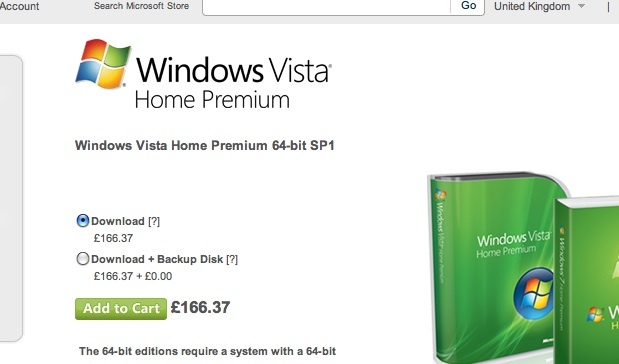 Of course, there are bandwidth costs but these scale nicely with the volume sold, whilst to produce a boxed version of the software requires purchasing economies of scale to make it economically viable to produce and sell. It is immediate, since users can download the software (almost) instantly which is more appealing at the Point of Sale. 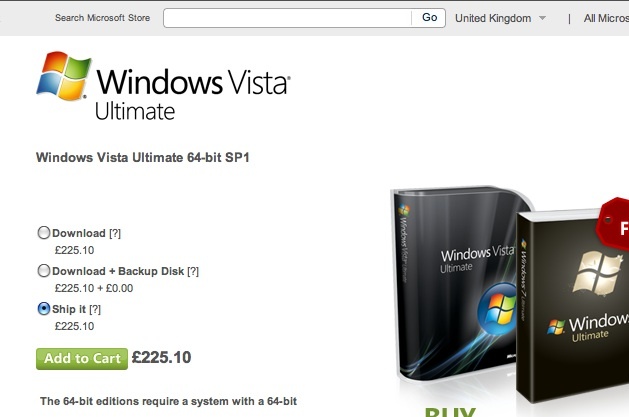 Alas, even with Microsoft’s online store selling boxed copies of their software, only Windows Vista Ultimate is available as a boxed copy, with the other versions of Windows Vista are only available as a digital copy. 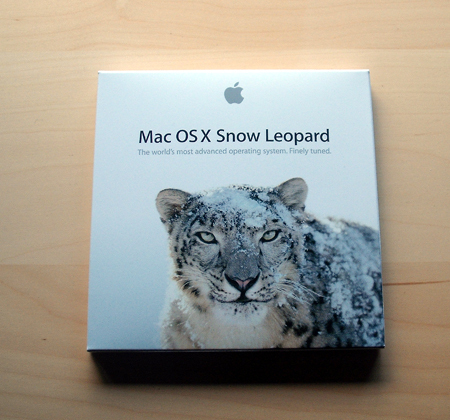 But is software packaging dead? With Apple offering only boxed versions of their software, and news that Microsoft is set to open retail stores in the coming months, it is unclear whether boxed distribution of software is making a stand against its digital counterpart, or whether is it simply a novelty for those companies at the top who have the resources to put into distribution through these means. Not everyone has fast download speeds; although the average download speed for Europe is 6.42 mbps and 6.10 mbps for North America (according to Speedtest), there are people who simply don’t have a fast enough download speed, or download limit to make purchasing software digitally viable, especially for large pieces of software such as operating systems which are Gigabytes in size. It gives users a physical copy of the software. As well as looking somewhat attractive and having the novelty of getting a physical product, this can serve as a backup for the future. It seems that – certainly for the moment – boxed software is here to stay. Although often a more convenient and more immediate distribution method for software, digital copies of software just don’t cut it for some people. However, with the emergence of software marketplaces such as the iPhone App Store, and an increasing prevalence of fast download speeds for consumers, it seems that the common model for software distribution shall be – and is even now – shifting towards digital means. Boxed software will be a staple of the software industry for a good while longer. 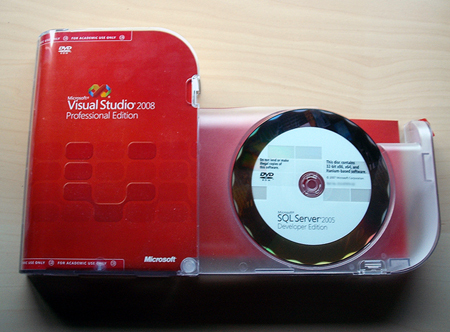 The requirements of getting a boxed software package are met by people in general. They can (most) move from one area to another to pick up this package. They have the funds to pay for said package. They have the necessary equipments to use said package. With downloadable software you add another requirement that people need to fulfill but remove one of of the prior one (physically moving) vs the digitally retrieving. I think as soon that one can be replaced with the other seamlessly. Then we will have a paradigm shift. We are getting there and it’s wonderful to see so many online stores and services. > The requirements of getting a boxed software package are met by people in general. Yes, I agree with you there. Although I think it also goes down to the software vendor; of course with large software companies like Microsoft or Apple, they sell their software in such vast quantities that they are more at liberty to choose how to distribute it. However, with smaller companies they aren’t so free in choosing because they have limited resources – be that funds or personnel. Especially on the financial side, you need to sell a large quantity of software to make boxing it worth it economically, to gain the benefits of economies of scale so that the unit cost is low enough to make enough profit (of course if the software in question is hundreds or thousands of dollars then this isn’t so fundamental). > I think as soon that one can be replaced with the other seamlessly. Then we will have a paradigm shift. That’s another interesting idea, and as you say we’re getting there; certainly in terms of the number of people who have access to the Internet, I suspect that as download speeds get faster (for example Virgin Media have started to offer fibre-optic broadband with near 50mbps download speeds in the UK), demand for downloads of software will increase, and should become more prevalent. Although I think, as you say, boxed software will still be around for awhile yet, especially with large sites like Amazon which sell boxed-only software.